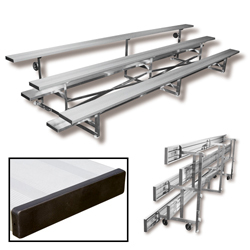 TIp N' Roll bleacher..perfect for auxiliary seating requirements. Tips easily for any responsible adult. Seat planks are either annodized or powder coated (where applicable).